Kraft Davies, PLLC is one of the leading law firms in the nation representing injured cruise ship passengers from around the world following an accident on a cruise ship. Our award-winning cruise ship injury lawyers have represented injured cruise ship passengers for over 65 years combined and have the resources necessary to take on the largest cruise ship companies in the world following a serious injury, including Holland America Line, Windstar Cruises, and Seabourn Cruise Lines. What Should You Do if You are Injured on a Cruise Ship? For decades, our cruise ship injury lawyers have assisted passengers in collecting millions of dollars following serious injuries on cruise ships. Following an injury on a cruise ship, it is important that you obtain immediate medical attention in the ship’s infirmary to address your injuries and get proper medical attention. Some injuries may be more serious than you believe immediately after the incident and it’s important to get proper medical evaluation. You should fill out an accident report to document your injuries. When filling out the accident report, be certain to list all conditions that played a role in your accident and list the contact information for all witnesses. What unsafe condition caused your injury? Who witnessed the incident? Has this happened to other passengers before? Try to have other passengers in your party obtain photographs of the scene of the injury and document all unsafe conditions that played a role in your injury. When you return home, get proper medical evaluation from your family doctor or visit the emergency room if your condition needs immediate attention. Make certain that you get immediate attention and do not delay necessary medical treatment. 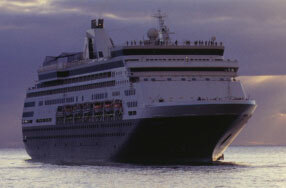 Common causes of injuries on cruise ships include: slips and falls on foreign substances, trips, falls in dark conditions in a theater, falls or trips on stairs, assaults by crew or other passengers, over-serving alcohol to passengers, tripping over thresholds, injuries while transferring to a tender vessels to go to or return from shore, negligent medical treatment on the cruise ship, injuries while on land for an excursion, injuries on snorkeling or zip-line trips, unsafe food or sanitation conditions on the vessel, unsafe pools or hot tubs, improperly secured equipment or items during storms, and many other unsafe conditions. Whether your injury occurred due to a slip and fall or while trying to board a tender vessel to go to shore, we have handled a wide variety of claims for cruise ship passengers following a serious injury. Put our experience to work for you. For decades, our award-winning cruise ship lawyers have assisted injured cruise ship passengers in collecting millions of dollars in compensation for unsafe conditions on cruise ships. We have successfully litigated claims against the largest cruise ship companies in the world. Under general maritime law, an injured cruise ship passenger may collect compensation for injuries caused by the negligence of the cruise ship company, its employees, or an unsafe condition on the vessel. Compensation under maritime law may include damages for past and future medical expenses, past and future lost wages or economic loss, pain, disability, disfigurement, loss of enjoyment of life, and other damages depending on the specific facts of your case. If you have questions regarding the types of damages that you may collect for a cruise ship injury, contact one of our experienced cruise ship injury lawyers for a free consultation at 206.624.8844. For decades, we have built our reputation on the highest ethical standards and persistent representation of injured cruise ship passengers following a serious injury. We only accept legitimate claims and offer a free evaluation of your claim in our office, your home, or by telephone. Contact us today at 206.624.8844 to put our experience to work for you.